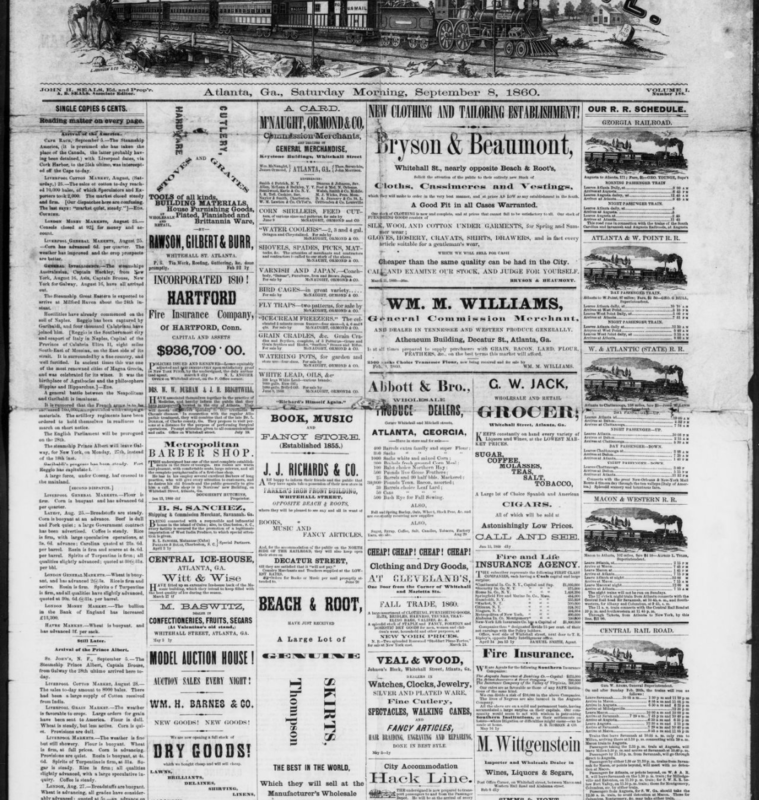 This press release is part of a series of guest posts contributed by our partners at HomePLACE, a project of the Georgia Public Library Service. HomePLACE works with Georgia’s public libraries and related institutions to digitize historical content for inclusion in the Digital Library of Georgia. 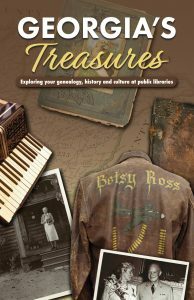 “Georgia’s Treasures: Exploring Your Genealogy, History and Culture at Public Libraries” is now available at public libraries across the state. This 16-page, full-color booklet showcases the genealogy resources found in numerous public libraries in Georgia. “As families come together this holiday season, we hope this booklet will inspire future visits to Georgia’s public libraries. Whether visitors are new to uncovering family history or seasoned genealogy researchers, these distinctive collections offer something for everyone,” said State Librarian Julie Walker. 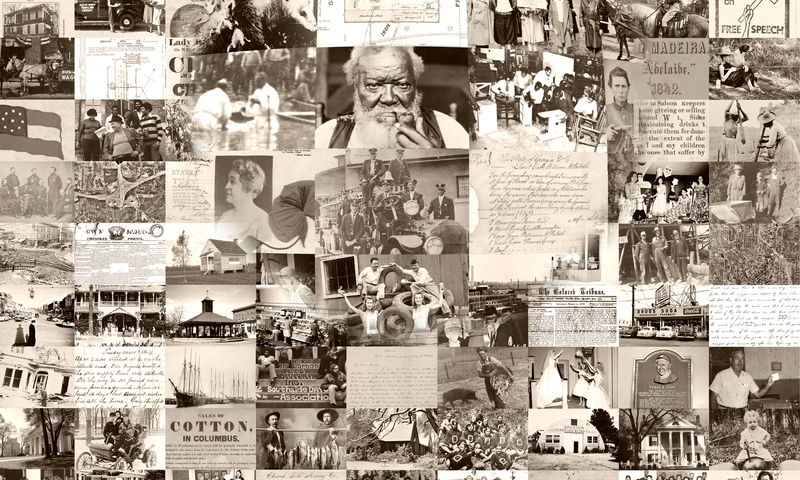 The booklet was inspired by four major public library history and genealogy collections: the Auburn Avenue Research Library on African American Culture and History, part of the Atlanta-Fulton Public Library System; the Ellen Payne Odom Genealogy Library, part of the Moultrie-Colquitt County Library System; the Genealogical and Historical Room and Middle Georgia Archives, located in Macon and part of the Middle Georgia Regional Library System; and the Ladson Genealogy Library, located in Vidalia and part of the Ohoopee Regional Library System. Combined, these collections offer nearly 185,000 print volumes and 50,000 reels of microfilm of genealogy, local history and culture, as well as hundreds of original archival collections. An additional six libraries in Athens, Augusta, Brunswick, Savannah, Marietta and Washington are noted for their impressive collections, public programs and reference services. In addition to physical collections, every public library card holder in the state can access online genealogy tools like HeritageQuest from home through GALILEO – Georgia’s Virtual Library – as well as Ancestry Library Edition at their local library branch. Researchers anywhere also have access to the Virtual Vault, a digital collection of resources from the state library’s sister organization, the Georgia Archives. Links to these resources, as well as to a PDF version of the booklet, can be found here.